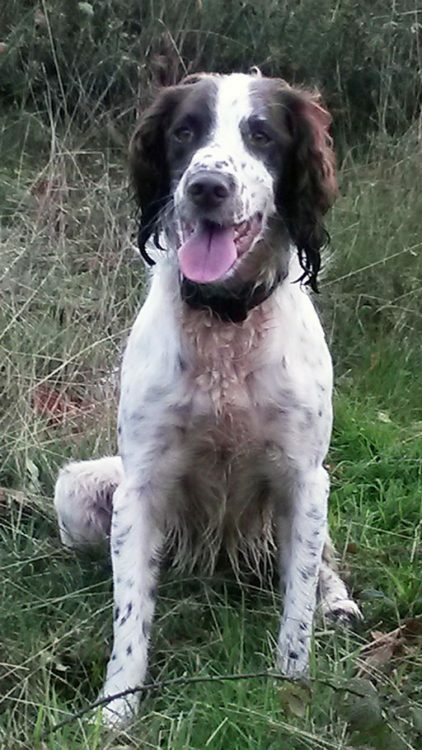 Millie, a beautiful four year old Springer Spaniel, was up on the Quantock hills with her owners one warm Sunday in July when she came across something rather ‘interesting’. Unfortunately, the adder she had found was less than impressed! 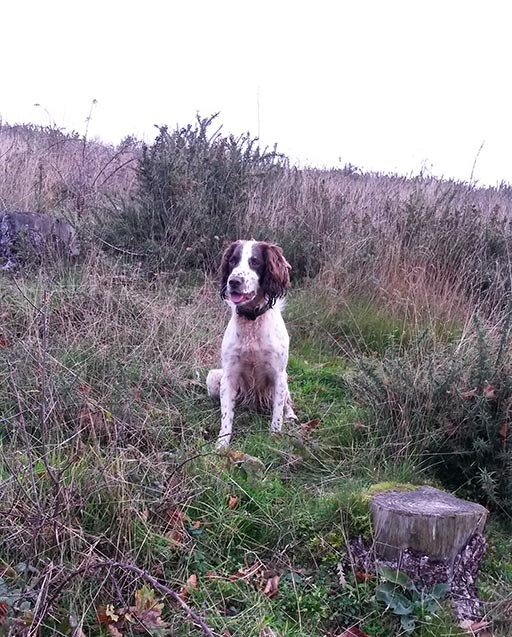 Millie’s owner explained “We were cycling on the Quantocks and Millie was running along in the bracken. We noticed that she started pouncing agitatedly in one area and we went to investigate. Luckily we saw the adder she had startled, we think it was probably sunning itself on the path and drowsy. We realised immediately that she had been bitten and knew we needed to act quickly.” Clients of Quantock Vets, Mr Miles contacted the hospital for advice, fortunately we were open as usual on Sunday, and he and his wife and son brought Millie in as soon as they could get back to the car. Millie had been bitten on the face – a typical spot for an adder bite – and it was already swelling badly (see top photo left) when she arrived at the hospital. We immediately supported her with fluid therapy and pain relief and restricted her movement. Her breathing was closely monitored to ensure that the swelling was not obstructing her airways. Anti-venom is an important part in treating adder bite injuries, but is difficult to obtain and rarely kept in Veterinary practices. We managed to locate some anti-venom for Millie in Swindon and her owners most helpfully jumped immediately into their car and went to collect it. “Luckily there were no problems on the M5!” said Mrs Miles. The Adder is the only venomous snake native to the UK and the Quantocks a perfect habitat for them. It is a non-aggressive snake but may attack when provoked – these attacks are most likely to occur between the months of April and July. The majority of bites occur to dogs’ faces and facial bites tend to be more serious than bites elsewhere on the body. Smaller dogs tend to be more severely affected. Swelling can result within minutes of the event or up to 2 hours later. Other signs of a bite can include vomiting, diarrhoea, restlessness and lethargy, accompanied by swelling and puncture wounds. This can lead to collapse and shock and in worst cases death. If you think your dog has been bitten please don’t panic but do get to a vets as quickly and calmly as possible.